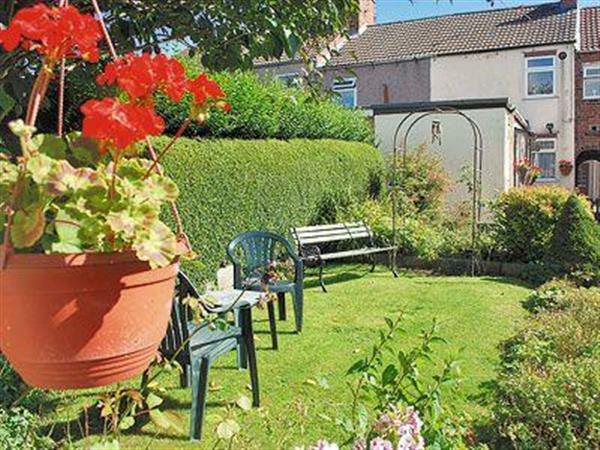 This traditional terraced holiday cottage is set right in the heart of all the local amenities of Alfreton. It has been tastefully decorated to provide a cosy and welcoming environment. All the attractions of the Peak Park lie just a short distance away, Butterley Railway Museum, Crich Tramway Village, Heights of Abraham, Chatsworth House and the American Adventure Park, also many walks and cycle rides are close at hand. The property has a local park literally on its doorstep and a leisure centre in Alfreton with indoor sport facilities, gym and indoor bowls, as well as a swimming centre. This is an ideal location for people requiring all the amenities at hand while the many varied attractions of the Peak District are easily available. Shop 200 yards, pub 100 yards, restaurant 0.5 miles. Ground floor: Living room. Dining room. Kitchen. Bathroom with shower over bath and toilet. First floor: 2 bedrooms: 1 double, 1 twin. Gas central heating, electric, bed linen and towels included. Freeview TV. Video and small library. CD. Electric cooker. Microwave. Lawned garden with patio and furniture. Parking (2 cars). No smoking please. Holidays at Amberley Cottage run from Saturday to Saturday. For a better idea of where Amberley Cottage is, you can see Amberley Cottage on the map below. Amberley Cottage is in Derbyshire; should you be on the lookout for a special offer, you can find all the special offers in Derbyshire. It's always worth checking to see what is on offer at the moment. Do you want to holiday near Amberley Cottage (W40199), you can see other cottages within 25 miles of Amberley Cottage; have a look to find your perfect holiday location.